Low-cost airline Norwegian has partnered with BLOC Hotel Gatwick to allow the airline’s loyalty scheme members to save costs on flights when staying at the stylish, yet affordable hotel. Low-cost airline Norwegian has entered into a new partnership with No1 Lounges, giving the airline’s loyalty scheme members an enhanced travel experience at greater value from several UK airports. Low-cost airline Norwegian’s loyalty programme, Norwegian Reward, has won the “Best up-and-coming Award” at the 2016 Freddie Awards - the most prestigious member-generated awards in the travel loyalty industry. Norwegian, the third largest low-cost carrier in Europe, is offering members of its loyalty programme, Norwegian Reward, a 20 per cent discount on Premium class flights to the U.S. when booked by 26th October. 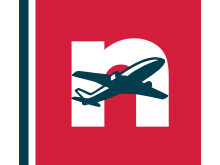 Low-cost airline Norwegian has increased the amount of rewards companies can earn on all flights. Flights to long-haul destinations are also now included for the first time offering a huge boost to business travellers using Norwegian’s links to key business destinations like New York, LA and Boston. 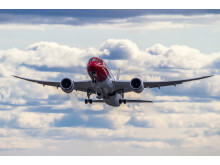 Norwegian, recently voted ‘Europe’s best low cost airline’ and the ‘World’s best low cost long-haul airline’, has announced that members of its popular ‘Norwegian Reward’ loyalty programme can now collect CashPoints up to 30 days after departure.